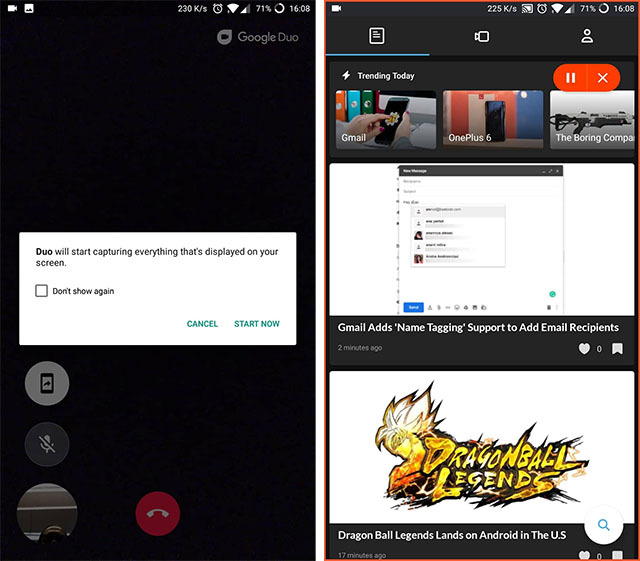 Google has started rolling out an update for its popular video calling service Duo which introduces the much-awaited screen sharing feature. 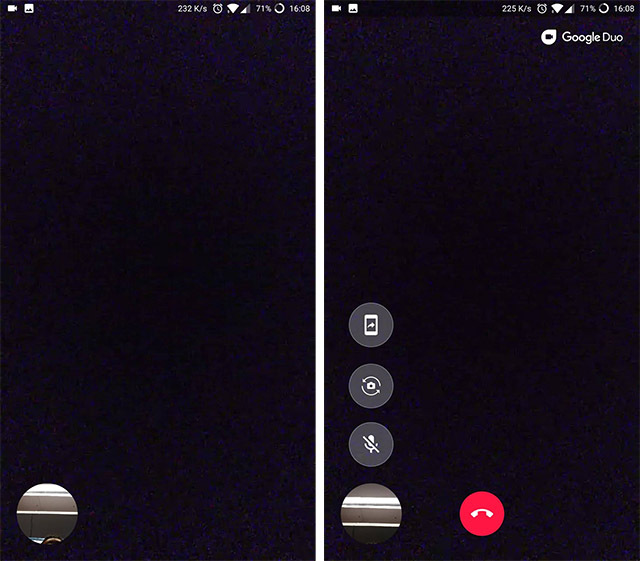 With the new feature, users will be able to share their screen with others during a video call, however, the feature seems to be broken. According to a recent report from Android Police, the new screen sharing feature doesn’t work as intended and while it shows the caller that the screen is being shared, the receiver just sees a frozen image of the caller. We also tested out the feature for ourselves and despite using a combination of several devices, we weren’t able to share our screens via the app. In order to use the screen sharing feature, users will first have to start a video call with another user and then tap on the new screen sharing icon above the microphone mute and front/rear camera toggle. The screen sharing can then be controlled using the pill shaped pop-up on the top right corner, which allows users to pause and stop screen sharing. In order to prevent accidental screen sharing, Google has also implemented a pop-up notification which asks the user if they want to start screen sharing once they tap on the screen sharing button. As of now, Google has released no official statement regarding the malfunctioning screen sharing feature, however, since the update has just started rolling out, we can expect to hear more from the company in the next few days. Additionally, an APK teardown of the latest update for Google Duo unveils an upcoming feature which will allow users to reply to recorded messages. The feature is highlighted by a line of code within the app and is intended to allow users to record their own message and send it back to the original sender.